I have been saying this for last seven years or may be more. All our media houses engage in corrupt practice with NDTV having the darkest of underbellies among the lot. A company which never had shown ‘GREEN’ in their balance sheet is still running without a problem. Either it has to be plain magic or something sinister behind the scene that kept NDTV running for such a long period without generating any self-sustaining revenue. It even becomes more enigmatic when one searches for the investors in a company like NDTV that has got nothing to write home about in their business viability. Either you would struggle to find the list of investors officially being acknowledged by the company or you would find shell companies with no legal or financial obligations turning out to be generous enough to lend out hundreds of crores to NDTV for fun. If at all one could get the detailed transactions of NDTV for one financial year, one would be shocked to see the one-way nature of funding that always makes its way to NDTV but never goes out as repayment. Now I don’t quite phantom how an investor would conveniently forget the hundreds of crores he/she has invested just like that. It only points at massive financial mismanagement by choice to hoodwink the tax man and SEBI and I am glad that the government is finally acting on these frauds, which I feel is already late by six-seven years. Now how NDTV was allowed to run amok all this while without being acted upon? When UPA assumed power in 2004 NDTV was in the verge of bankruptcy. They didn’t even have enough money to pay-out salaries of their employees. All these are documented facts which even NDTV can’t deny. Few of their employees of that time in fact went public under anonymity to let know their plight. If anything, they weren’t being paid for last three to four months in average, they told. Interestingly NDTV never objected to this claim which was run by another reputed media house. This proves that the disgruntled employees weren’t entirely untruthful. But suddenly after 2004 NDTV started rising in their financial part exponentially though their viewership drastically kept on declining every quarter. Now this equation simply is not fitting in. 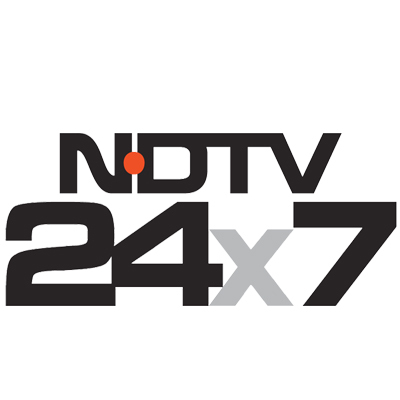 During the same time NDTV launched at least 20 subsidiary companies on foreign land. At least the eight that they started in UK had the same correspondence address, which again was shared by 3000 other companies. All these shell companies appear shoddy in whichever way you look at them. They largely were placed there as window for the mother ship to accumulate funding under bogus investment deals. Most of these companies were shut down within days they got the dividends for their earlier investment. It can’t be co-incidence that the companies which have potential to raise hundreds of crores for NDTV would close their doors within a week they received their return of investment. This simply isn’t digestible at all. There too is no account for the money that the channel earned after selling ‘NDTV-Imagine’ to a foreign buyer. The $ 117 million seems to have vanished in thin air. They never even cared to clear their balance sheet while closing these phoney shell companies either. Under the pretext of no financial or legal obligation clause they simply shut these bogus companies and conveniently siphoned the money. The taxation that otherwise the government would have got against these high valued financial transactions were gone too. How this could be possible that our tax-men would be so willing to let go hundreds of crores on which they have legitimate claim? At least I haven’t seen our Tax-men being so generous ever. But there is a trick and connivance in the manner NDTV was allowed to operate with their shoddy business ethics. And the clue here is the vicious P. Chidambaram, the then finance minister in the UPA government. The financial rise of NDTV and the role and help of Chidambaram can’t be separated and I will tell you why. In a series of E-Mails that were been leaked, the conversation between Prannoy Roy, his wife Radhika Roy and the PWC (Price Waterhouse Coopers)member, the one who were managing and auditing the NDTV record books, points at the sinister plot of mass scale money laundering that was going around NDTV. In clear violation of business ethics, Mr. Roy was suggesting to keep the $ 400 million raised through various bogus funds with NDTV, rather than pushing it to their network of channels, presumably for which the shareholders (both corporate and retail) invested their money. This is a clear cut violation of SEBI guidelines. By not pushing it to the channels, NDTV managed to inflate their books thereby resulting in increase of their share value. This is not all; while filing the books, along with the mother company all subsidiary units too need to furnish the details of their books including the book details of the child companies if any to SEBI. But interestingly NDTV never was forced to do so as per the regulation. They continued to omit the names of its shell companies in every year balance sheet. This practice is not allowed in normal circumstances unless you back it up with the special approval of the finance as well as the tax department. Surprisingly NDTV could manage to procure the required approvals in no time. This smells rat since even a state owned organization like Indian Oil were declined such a request when they wanted to keep the books of their child company in Iran out of the purview of our Tax laws. Now how Indian Oil is denied, though there weren’t any baleful plot/s but NDTV is duly obliged by P. Chidambaram to continue with their shoddy financial deals? We will see how and why there is so much of love towards NDTV from the UPA government in general and Chidambaram in particular. Prof. Gurumurthi has nicely pointed out with examples on how the connivance of a private channel and a political outfit outran the state interest with ease. It all started in 2006 when an honest tax officer going by the name S.K Srivastava dug out the nefarious deals between Chidambaram and NDTV. The financial mess or rather payoff between Chidambaram and NDTV eventually went up to 5000 crores. Within three days of unearthing this unholy association, Mr. Srivastava was arm-twisted to change the content of the file. When eventually the officer declined to act like a clown the overzealous Chidambaram and his cronies in the tax department actually destroyed the file and created another file related to the said investigation and recommended Mr. Srivastava’s suspension insted. Not only that, a woman ‘tax official’ also complained against him and accused Mr. Srivastava of sexual harassment. Later it was found that the husband of the said lady officer was employed by NDTV with no designation and they too were sponsoring the couple’s foreign junkets for free. When this revelation was done the husband of the lady officer promptly resigned from NDTV and never brought into the context. Mr. Srivastava also unearthed huge tax fraud by NDTV and assessed it close to rupees 300 crore. But how small the fraud amount Mr. Srivastava thought it to be, no? Today the amount has gone up to a staggering rupees 1400 crore and even the NDTV has agreed to pay it out to save its skin. Any tax official unearthing so much fraud should have been awarded by the finance minister himself but here with Mr. Srivastava, the case was little different. The very next day after Mr. Srivastava sent his findings to the finance ministry, Chidmbaram himself directed his cohorts to suspend Mr. Srivastava immediately citing bad behavior. This sounds so interesting when you join the dots. In a mail/notice sent by Ram Jethmalini to Chidambaram, he pointed out all these facts that Mr. Srivastava has unearthed to which Chidambaram never objected but rather laid out his phoney explanation which further solidified the claims of Mr. Srivastava, which eventually our courts too accepted. Not just daylight robbery but valuating itself is also a special art with NDTV. In fact their self-valuation ranges from rupees 192 crore to rupees 10000 crore and all within a year and half timeframe. That is some range I must say and that too within a double quick timeline. When Reliance industries wanted to buy a sizable portion of the channel the valuation of NDTV was kept at four hundred millions. The same valuation went to a precarious 192 crore when Naveen Jindal wanted to purchase 15% stake of the company. The same company also floated an inflated valuation when they were inflowing money through their bogus shell companies. This massive variation of its value also was objected and questioned by both SEBI and the tax department on technicality and practicality grounds. Poor Ambani had to lose close to 350 crores and eventually had to sell the shares he bought at a throwaway price of 50 crores. And the company in Himachal that bought the shares so damn cheap is owned by a very close relative of Mr. Roy. By the way, the lowest valuation when Ambani sold his shares and when GE Corporation raised 400 million for NDTV after valuating it to 10000 crores happened in a span of three months. That is almost 1000 times growth in 90 days only. This again can’t be a coincidence. If experts were to be believed, from these shoddy devaluations alone NDTV would have siphoned close to 800 crores of tax payer and shareholder’s money. And no wonder there would have been many in UPA, not just Chidambaram, to get their share from this public loot. The dark underbelly of NDTV is too long to be covered in a single post. What surprises me here is how the motor-mouths of NDTV and their secular supporters in various political parties and other walks of life are crying foul. They are crying vindictive politics when it is all about financial fraud of a company that has never gone green in its existence. There isn’t anyone who is trying to curtail the so called press freedom, which these selfsame flag bearers of free speech are crying about. Here is the fact – Government of India is acting against a fraudulent organization that has made corrupt practice as their forte. During the entire period of UPA rule NDTV declined to furnish their investors list which automatically tantamount to FEMA violation but surprisingly neither Chidambaram nor the finance ministry ever bothered to act against this open violation. Instead Cidambaram was making sure to cover the crimes of NDTV even if that means suspending honest officers like Mr. Srivastava. There was a time when every alternate day Chidambaram was used to come on NDTV for one or the other bogus discussions. I too had hoped the Modi government would act against NDTV as quickly as possible and I always feared Mr. Roy could easily turn out to be another Vijay Mallya otherwise. The promoters and the directors of the channel anyway have bought huge ranches in the country of their choice. Running away from prosecution couldn’t have been any easier. That said I am in fact quite surprised that the current NDA government actually acted against the frauds like NDTV. In many of my earlier posts I had written how Arun Jaitley is so dear to NDTV whereas he should be acting against their forgery instead. In the autobiography of the late Vinod Mehta he has nicely narrated the episode of ‘Radia Tapes’ and how Mr. Jaitley bailed out Barkha Dutt from the imminent mess she was in. Before the start of the winter session Barkha Dutt paid a visit to Mr. Jaitley’s residence and literally pleaded to not pick the ‘Radia Tapes’ for debate during the zero hour. Not to mention here, Mr. Jaitley was the leader of opposition and his silence on such an important issue where the opposition could have cornered the ruling party came as a huge surprise for many. It took late Vinod Mehta to lay out the precise reason for Mr. Jaitley’s silence. No wonder, NDTV is yet to run a single program criticizing Mr. Jaitly though they are quite vocal in running vendetta full campaigns against each one of them from BJP. No one would have seen a single program on NDTV about the monumental corruption that happened in DDCA under Mr. Jaitley's watch. If Dr. Manmohan Singh could be termed as corrupt in Coal scam I wonder how Arun Jaitley managed to stay safe. So to the intellectuals, please spare your ‘Curtailing Press Freedom’ or some nonsense to that effect for your respective gossip circles. Acting against fraudsters is no curtailment. It is called upholding the laws of the land, if you guys have forgotten. The biasness that NDTV exhibited against Narendra Modi or any other BJP leader is a crime in itself and that requires separate prosecution. As I said earlier in the post, the current action isn’t anyway related to the vendetta campaign that NDTV was doing against BJP for last ten odd years. There is clear cut fraudulence on the part of NDTV and there is ample proof to nail them square this time around. I am glad that the government is taking these frauds to task finally. They belong behind bars and this step is judiciously in the right direction. For the rest; to cater to your false sense of truthfulness and journalism that no journalist today practices– take a chill pill and stop your filthy spinning work; it ain’t cut the ice anymore. By the way I won't be surprised a little if their latest decision of shutting down NDTV-Profit has another mega tax loot in the background just as they did with NDTV-Imagine.